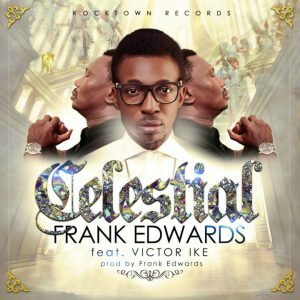 Frank Edwards has just premiered another brand new single in 2016 titled ‘Celestial’featuring label-mate, Victor Ike (popularly known as Living Water). This single was released after a successful worship experience Ethereal: Heavenly Vowels hosted LIVE on his official Facebook page. Celestial is a word literally used to describe things that have to do with the heavens. It is appropriate to say that Frank & Victor has served music from heaven’s musical kitchen. Spicy food for the soul and spirit.